Your Healing Diet New York City was written to make it easier to eat in a way that enables the body to heal itself. The short guidebook distills common threads of success across many healing diets and demonstrates how to quickly incorporate healing habits into modern schedules. It also provides simple explanations on how food can create and reverse disease and what to expect when embarking upon a healing diet. 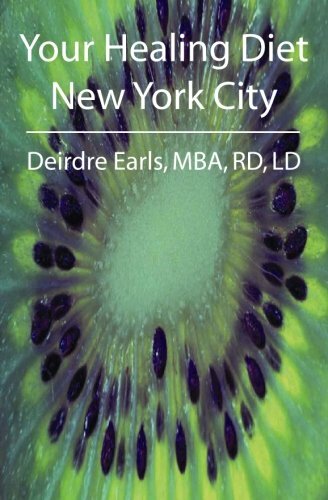 Special segments include a chapter on recipe-free meals and snacks, NYC restaurants and grocery stores in all five boroughs, and how to travel with food. Everything is designed to make it easy for anyone to begin experiencing the incredible healing power of food.